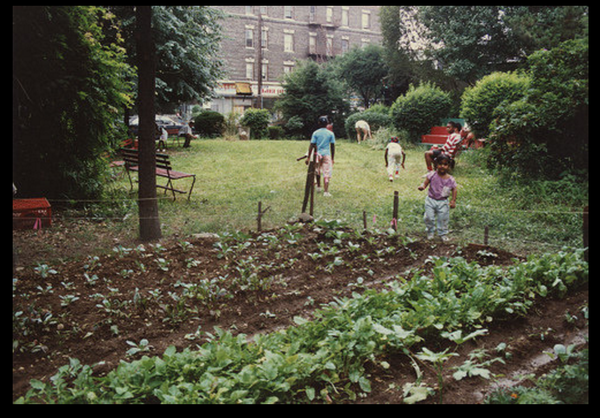 1100 Bergen Community garden, owned by its block association for decades, was at risk of having tax debt sold to an investor-backed trust when an administrator failed to file the annual property tax exemption renewal. 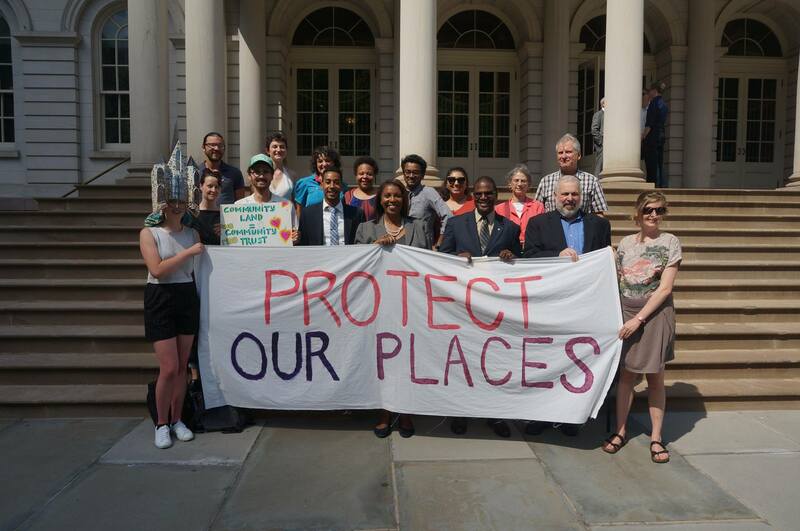 We worked with gardeners and Mohen & Segal LLP to transfer the land to Brooklyn Queens Land Trust to protect it from foreclosure and auction to the highest bidder. Not-for-profit corporations hold property in service of their missions, whether the provision of community services, like day cares and community gardens, or affordable housing. When such organizations fail to pay property taxes or apply for appropriate tax exemptions and their debt is sold to private entities for collection and potential foreclosure, key community services are unnecessarily placed at risk. New Yorkers striving to improve their neighborhoods are also unnecessarily burdened. Many small not-for-profits have never applied for available property tax exemptions due to a lack of information; their members simply pay property taxes as billed to them every year. In many cases, individual members actually receive and pay the bills for years or decades out of personal funds because they see the risk of losing their church, garden or other key community property as too great and have never realized that other options exist. When those members move away, die or stop paying for personal reasons, community anchors are threatened. The tax lien sale allows properties acquired through charity and public money to become private properties when buyers of the tax debt foreclose. 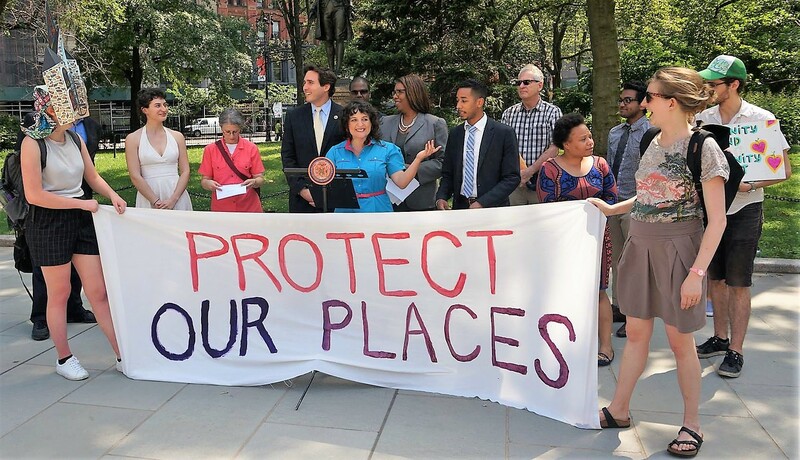 Below are five recommendations for improving the process of tax assessment and collection on these properties that will help preserve our communities’ investments and ensure that New Yorkers have places to thrive, together. Create an internal Department of Finance mechanism for determining which properties in the City are owned by not-for-profit corporations and educating the administrators of those organizations about the availability of tax exemptions for properties used for eligible purposes. Join us on November 10, 2016, at Fordham Law School as we partner with the NYC Department of Finance Taxpayer Advocate on the first targeted presentation of this kind. Details here. Exclude all not-for-profit–owned properties from the tax lien sale. Properties belonging to not-for-profits in such distress should be transferred to other not-for-profits, not allowed to become market commodities. Not-for-profit–owned properties should be excluded from the tax lien sale whether or not the subject properties are eligible for any tax abatement. Provide additional support to not-for-profit administrators who contact the Department of Finance. Eliminate annual renewal requirement for not-for-profits that receive a property tax exemption. The New York State constitution mandates that tax exemptions for real property used for religious, educational or charitable purposes and owned by any corporation or association organized or conducted exclusively for one or more of such purposes and not operating for profit cannot be altered or repealed. You can read more about the impact of the tax lien sale on community property in City Limits. On May 23, Merrick Marsden Community Garden in Jamaica, Queens finally reopened as protected open space! It has been serving the community since 1967, but was recently threatened with extinction by the Tax Lien Sale – though tax debt should have never been owed on this not-for-profit owned property in the first place. 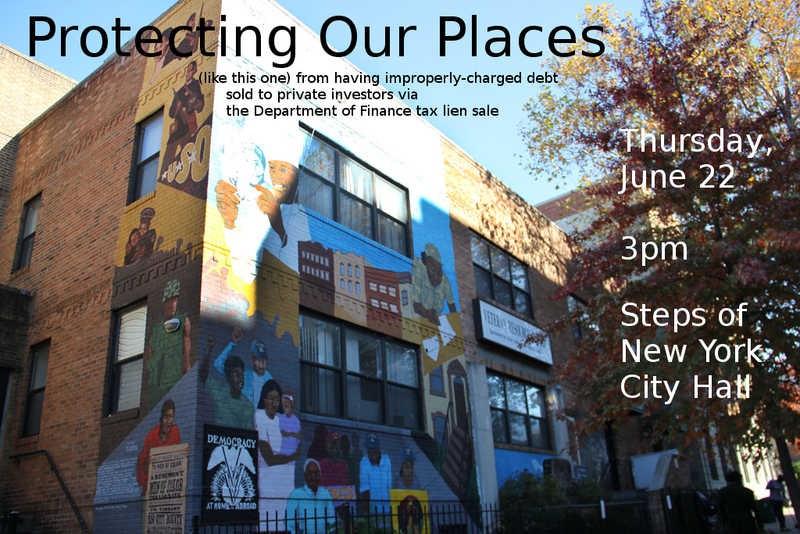 The property was saved by a local fundraising frenzy and because of 596 Acres, which referred the local organization to Mohen & Segal LLP to defend a foreclosure action brought by the Tax Lien Trust, and then in a transfer of the property to the Brooklyn Queens Land Trust in January 2014.